Puppy training is part of puppy socialisation. 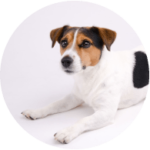 Here at Positive Training for Canines we offer small, fun, relaxed puppy classes where individual attention can be given. To achieve results we only use positive reward based training through the use of food rewards, body language and vocal praise. We run a 6-week course at Colden Common Community Centre for puppies who have received their first vaccination and those up to the age of 16 weeks. 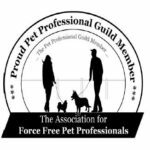 This course covers the basics of training including loose lead, recall, focus, settles, mental stimulation, impulse control, greeting other dogs appropriately and much more! We have teamed up with Companion Care Vets inside Pets at Home in Winnall to provide a 4-week course for puppies who have received their first vaccination and those up to the age of 16 weeks. This course covers the basics of training including loose lead, recall, focus, settles, on lead greets, impulse control, supervised off lead play and much more!